Kingdom Centre also called Burj Al-Mamlaka is a supertall skyscraper located in the city of Riyadh, Saudi Arabia.It is the 45th tallest building in the world with a height of 311 m (1,020 ft). 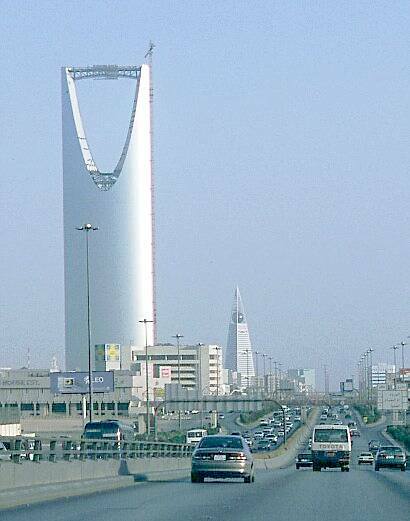 It is also host to the highest mosque in the world. 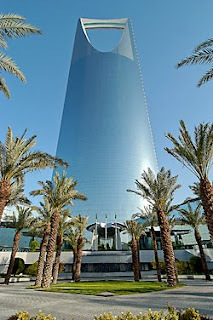 The Tower Contains a total of 43 floors excluding the 4 levels of basement.Besides the shopping mall, the Centre includes the Four Seasons Hotel Riyadh and state-of-the-art apartments. 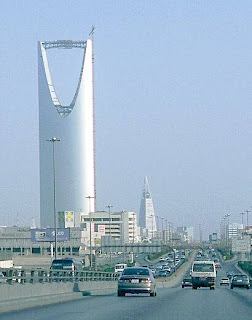 The 100 meter long skybridge atop the skyscraper, at a height of 297 meters, contains a public observation deck and a view of the entire city of Riyadh.